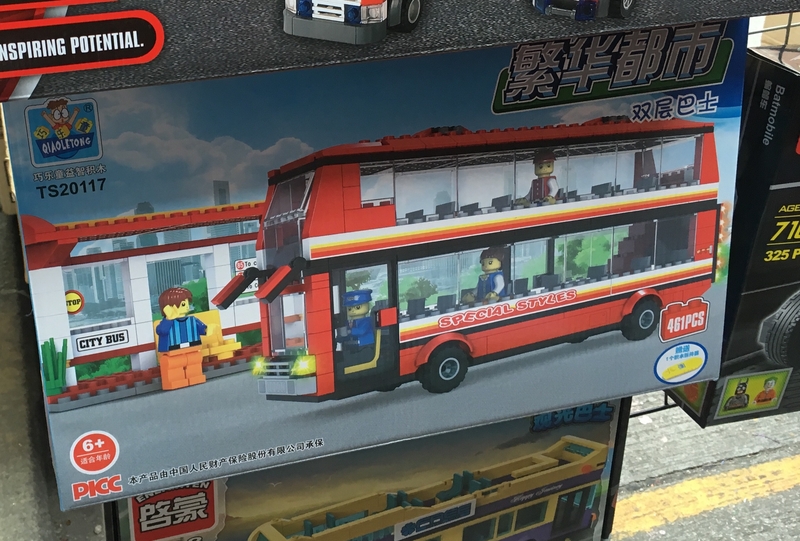 Hey guys, just wanted to share some sets in Hong Kong of fake Lego sets. 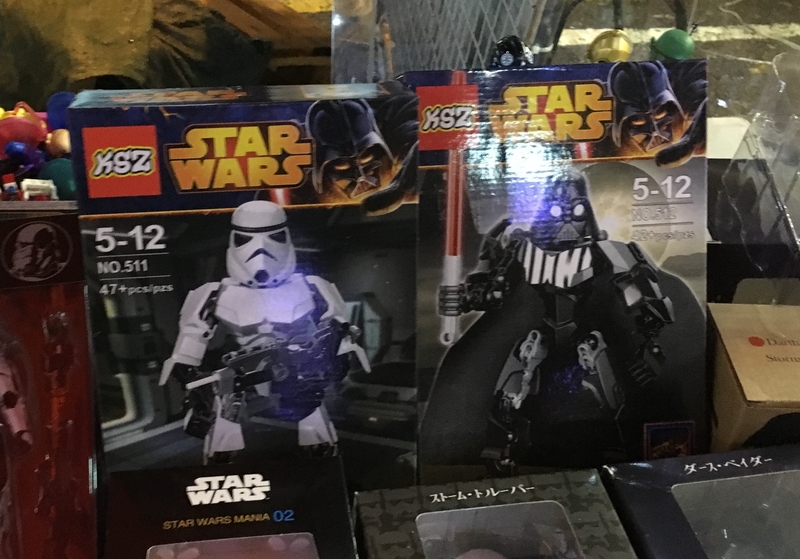 These are the more new and interesting sets including Star Wars battle figures and mini modulars (Eg. 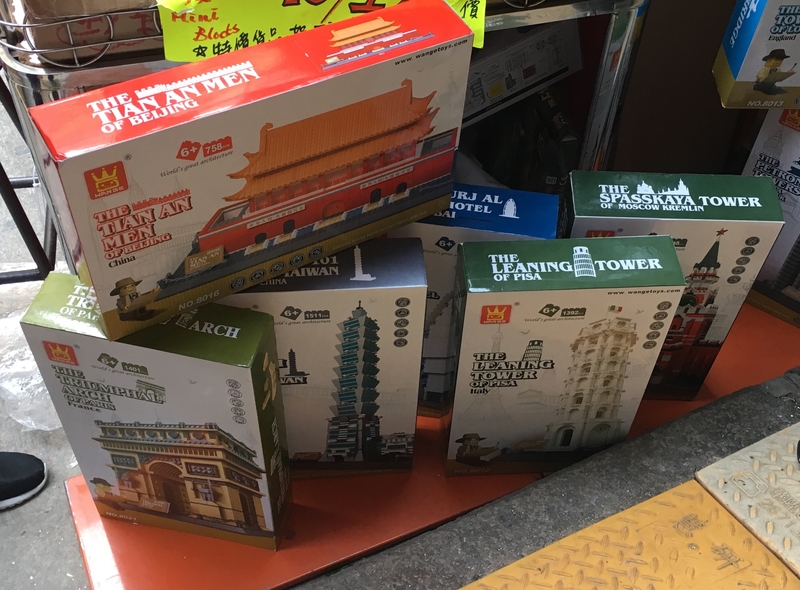 711, KFC modulars, etc). Enjoy! Prices are in HKD FYI. Those star warsbig figures look pretty cool. Is that a Stan Lee KFC? 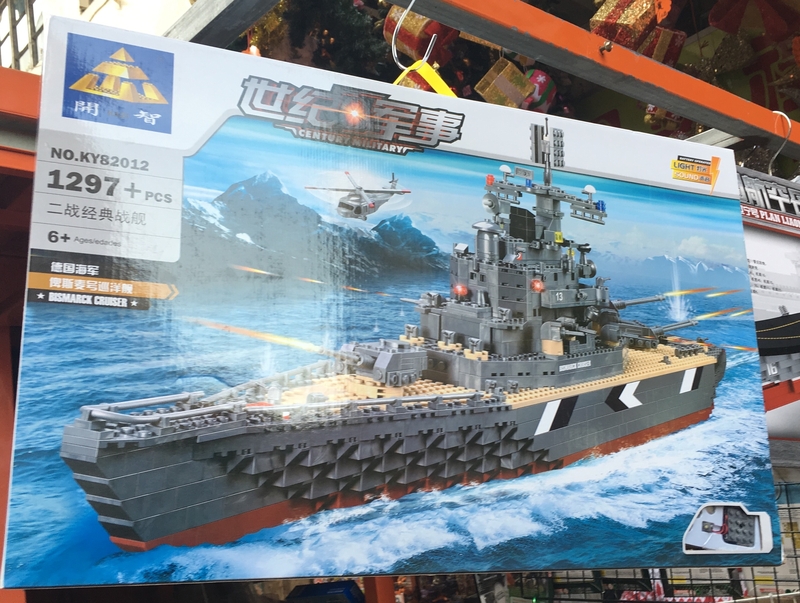 It is funny when LEGO knock offs come out with cooler stuff than LEGO. I'm surprised Disney isn't starting to chase these guys down even if LEGO isn't. I have to agree, that mini street is nice. That's what this thread should be for. Keeping people up to date on the latest fakes so they can avoid them! Look at the JW dilophosaurus. Pretty close to the real thing. Someone's probably stealing molds or at least duplicating them. 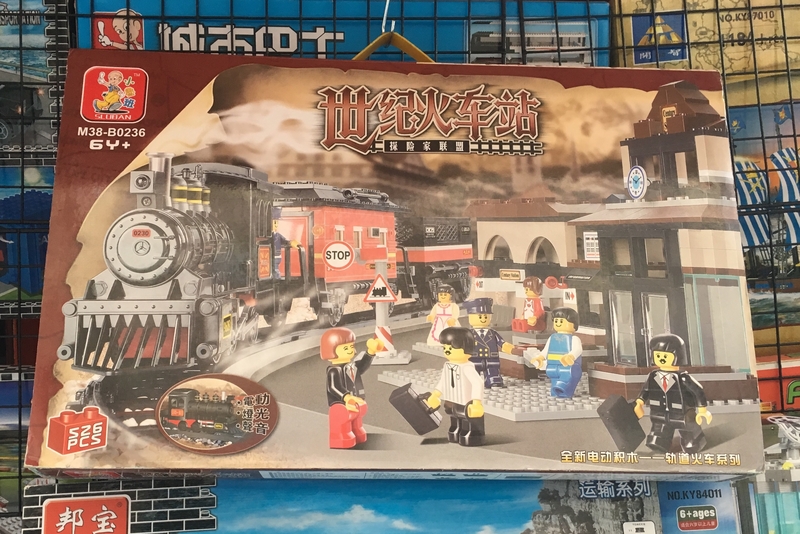 A question for those who have purchased any of these HK/Chinese knockoffs pictured: do the sets match those on the box art? Get the bell, book and candle! Actually, TLG ought to be sitting up and taking a bit more notice. When people start admiring clone designs and saying they want some, and as the quality improves and there are adverse comments about that of LEGO bricks, http://brickset.com/article/2891 starts looking a bit less funny. The comments made by @Huw the next day about "over my dead body" may not bode well for him! If TLG's only unique selling point is that it's expensive, they're doomed. 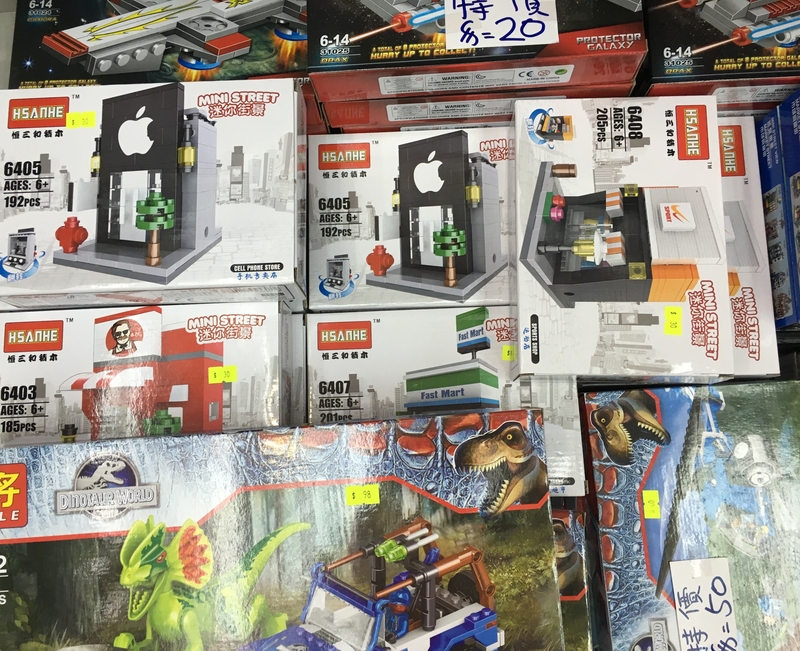 I've seen those mini modulars somewhere else. Weren't they on ideas? Ronald McDonald is actually standing outside the McDonald's! 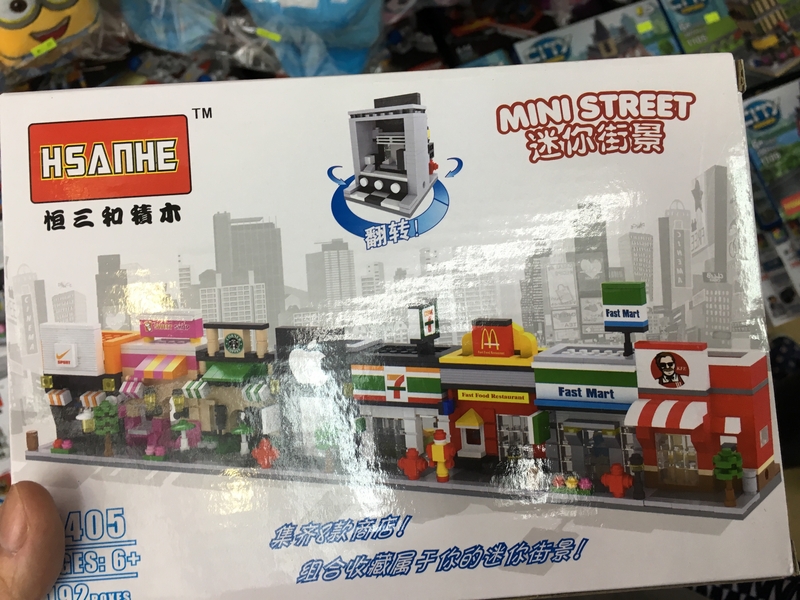 Full props to whoever designed that street of fake micromodulars--they're every bit as good as the Bricktober ones! I shall MOC some up using real Lego when I find the time! Love the Ronald McDonald statue and how it's obviously a statue and not someone in a costume!! 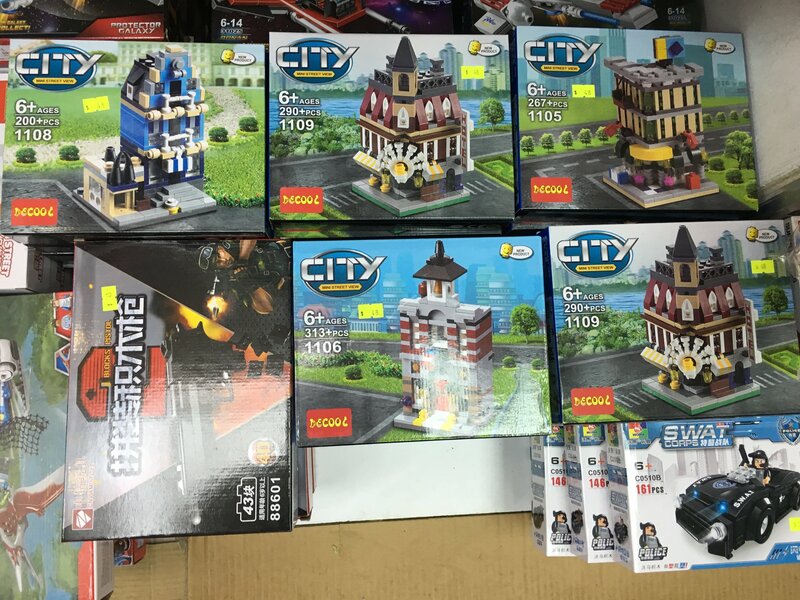 Here's some other modular x architecture Lego clone sets. I'd buy the mini town stores. Apple, KFC, McDonalds, 7-11, Starbucks....all pretty cool. Those companies can fight their own battles, they don't need my help, so if I was in Hong Kong, I'd buy 'em. The triumphal arch looks interesting.